The story that President Mahinda Rajapaksa has ordered a special investigation regarding former Minister Wimal Weerawansa who abused power to get police protection for 8 members of his political party NFF and former IGP Mahinda Balasooriya who recommended such police protection for the 8 members of the NFF has gone viral. Two police officers each had been deployed from 2009 to 2015 for Mohommed Muzamil, Anjan Umma, Weerakumara Dissanayaka, Nimal Premawansa, Padma Udayashantha, Deepal Gunasekera, Jayantha Samaraweera and Samansiri Herath, all members of NFF. It is revealed that the 16 police officers were released full time on a direct order from Wimal Weerawansa and recommended by then IGP Mahinda Balasooriya say reports. It is further reported that the CID would summon Wimal Weerawansa and Mahinda Balasooriya to question them regarding this. Normally, a former President should get all his official needs fulfilled through the incumbent President. However, it is revealed that Mr. Mahinda Rajapaksa gets his needs fulfilled through Prime Minister Ranil Wickremesinghe avoiding President Maithripala Sirisena for his needs. The immediate such incident is getting four new tyres for Mr. Rajapaksa’s official vehicle through Prime Minister Ranil Wickremesinghe. Also, it is revealed that security for Mr. Mahinda Rajapaksa’s foreign tours are arranged through the Prime Minister. 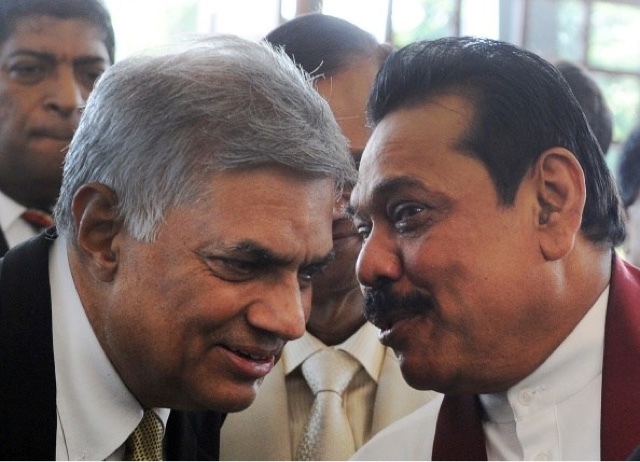 President Maithripala Sirisena has inquired regarding this move from Prime Minister Wickremesinghe and he had said he fulfills requests by Mr. Mahinda Rajapaksa due to their friendship and also due to his respect for the former President. It is revealed that Mr. Mahinda Rajapaksa has got his needs of various services fulfilled through the Prime Minister. Recently, Prime Minister Ranil Wickremesinghe said he would always fulfill the services necessary for the former President Mahinda Rajapaksa and his protection.